While the rumors start to stir in the pot of leaks for the Galaxy S7, one of them points to firmware codes, which means Samsung could have started developing the software for the Galaxy S7. These two codes, G930FXXU0AOK6 and G935FXXU0AOK6, suggest that Samsung plans to have a regular model and an “Edge” one. Interestingly, these codes began development about a month earlier than last year’s Galaxy S6. Samsung could be aiming for an earlier launch next year, just as it did with the Galaxy Note5 this year. At this point some of what is known about the Galaxy S7 is that it might have a Qualcomm Snapdragon 820 from the benchmark test of a device codenamed “Lucky”. Because Marshmallow has already been out for a little while, we can also assume that Samsung is going to go with that Android version for the Galaxy S7. We can’t wait to see what kind of rumors are going to spill until then. 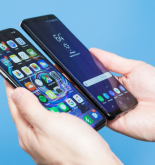 Many people are excited about the release of The Next Big Thing every year and Samsung cleverly made two flagships that launch 6 months apart.